Food just doesn’t get any more southern than a heaping plate of fried chicken, and Tennessee knows how to do it right. 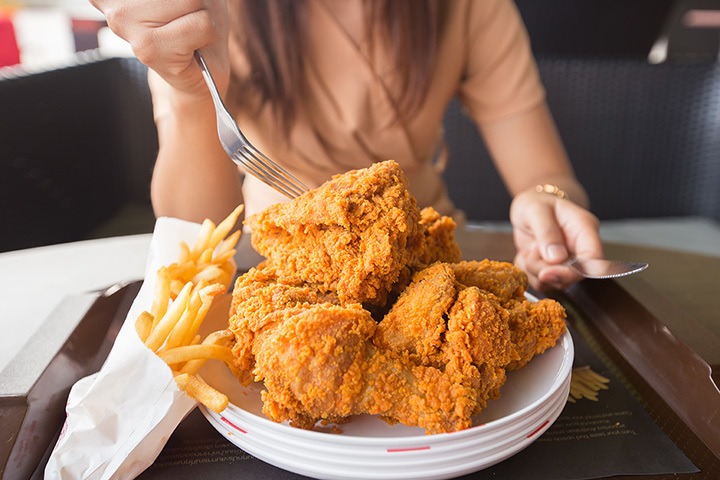 Known for their cuisine that tastes just like grandma used to make, you’ll find no shortage of fried chicken places that make this all-American classic from scratch. Bring your appetite to these 10 best places for fried chicken in Tennessee and eat til your heart’s content. This Tennessee-based chain is nothing short of incredible when it comes to fried chicken. Their hot chicken bakes heat right into the breading, so you get the perfect balance of crunch and spice in every bite. But if you’re worried about it being too spicy, don’t—they offer different levels of heat so you can get it as hot (or not) as you like it. This award-winning restaurant has been featured on some of the top food shows in the country, and it’s easy to see why. Their fried chicken is world-famous, thanks to its freshness, flavor, quality, and value. Wings, breasts, legs, tenders—you name it, you can get it here, along with all the fixings you could ask for. The atmosphere here is only topped by their awesome chicken tenders and wings. Fried chicken, beer buckets, and funky digs make this is a place you’ll want to sit and stay awhile. Fans say it’s a little pricier than some of the other chicken places in the area, but it’s well worth what you pay. No one makes fried chicken like Mama. This southern-style eatery is chock full of delicious chicken and fixings, all served up with a helping of hospitality. They bring their out their food family style, so you’ll feel like you’re back in Grandma’s kitchen. Hot chicken is a hot trend in Tennessee, but no one does it better than Prince’s. Thorton Prince is known as the Father of Hot Chicken in Nashville, and this 100 year old tradition continues today. The menu is simple, but what you don’t get in variety is more than made up for in taste. Homemade chicken and biscuits go together like PB&J, and that’s exactly what you’ll find here. They’ve got just about every type of chicken dish you can imagine, from breasts and legs to filets to wings, you just can’t go wrong. Pair your meal with their famous sweet tea for a winning combination. Food so good, she put her name on it! Their fried chicken is rolled in their secret blend of seasoning and cooked to perfection. Fans love the poppy seed chicken, touting it as one of the most unique things ever to happen to chicken. Truth be told, they’ve got a LOT of tasty temptation on the menu (mmm, shrimp burgers! ), but the chicken is surely not to be missed. Choose from wings, filets, legs, hot chicken and waffles—even hot chicken tacos! You also control the level of heat you can handle, so be prepared to savor every bite. There’s a lot of homemade goodness happening here. They make their own blend of spices, rubs, and sauces, then bake their heat directly into their chicken for a taste you’ll want to experience again and again. Bonus points: they also have hot fish! One of the least expected places to find high-quality fried chicken, this unique little tea room has been serving up tasty homemade eats since 1936. The fried chicken is made fresh daily and served piping hot alongside southern sides like corn, okra, fries, and hash brown casserole. It’s the cozy mom and pop restaurant experience many try to create, but can never duplicate.